Bring your playing to a new level with our ultimate selection of Champion Sports Badminton nets. Our nets are designed and built for both recreational and competitive play. 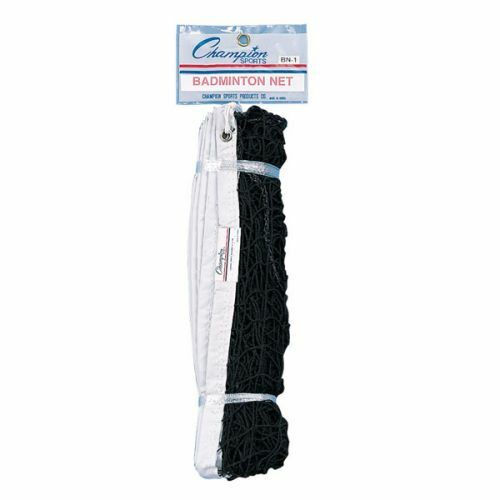 This 18-ply nylon net is made of ¾" square mesh, and features a 2" headband, side and bottom tape, and a nylon rope cable.